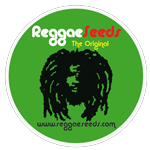 Reggae Seeds is an award winning Spanish seed company, well known in Spain for flavour and potentcy. They became 1st place winners in Highlife cannabis cups and many other cannabis competitions! The only bank that offers regular seeds high in CBD. All regular varieties have proved to be a high percentage of CBD. This is because they all have in common their amazing Kalijah male.